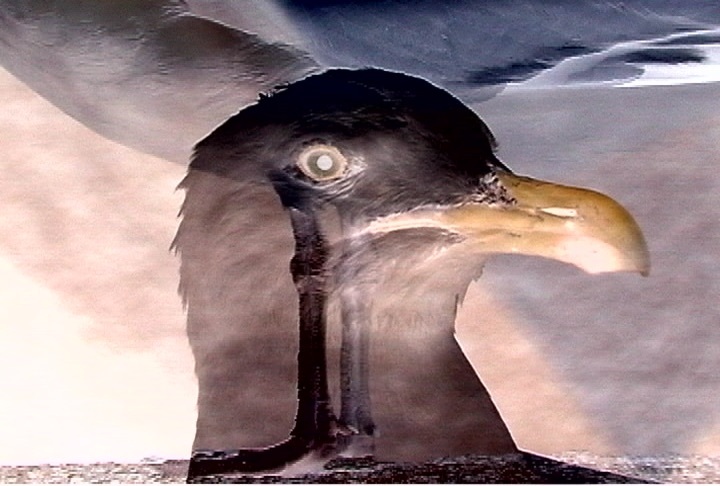 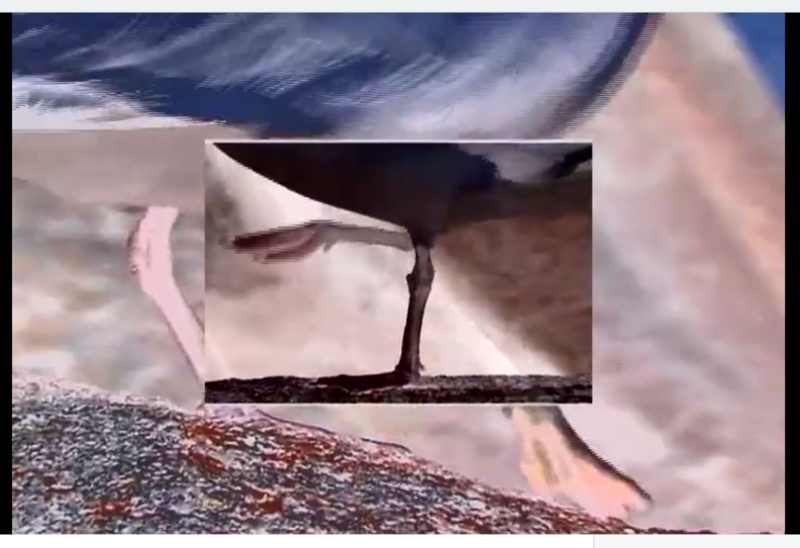 Made as a variation of Trio en Rose (S.8 video original material filmed with a consumer camera in Brittany, 2006), Ruffled Feathers is a playful, intricate, and multi-layered dance piece—in which the dancers are seagulls, walking about on the pink granite rocks of the Côte d’Amour. 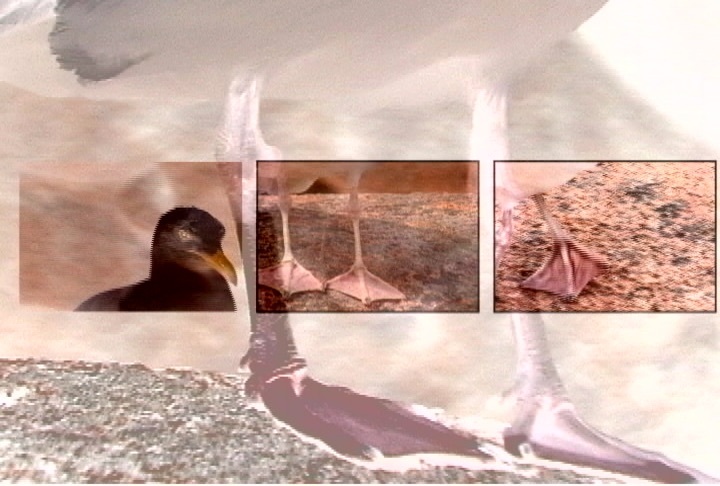 As inTrio en Rose, my focus is on their skinny legs, knobby knees, and wide flat feet, coupled with a cheeky fearlessness. 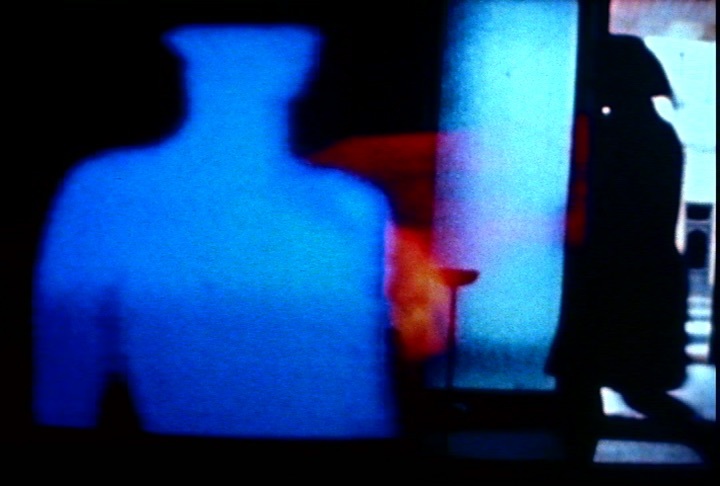 The music piece IO by contemporary composer Lois V Vierk is the same used in Trio en Rose (also excerpted in A Question of Sunlight). 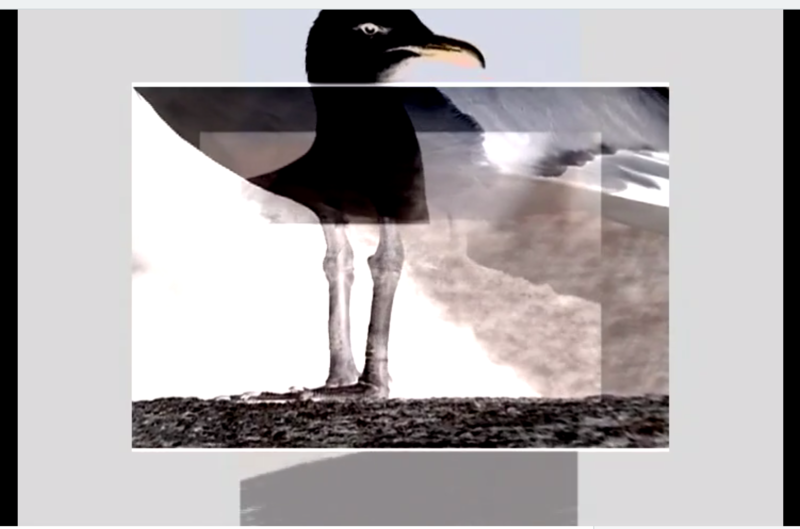 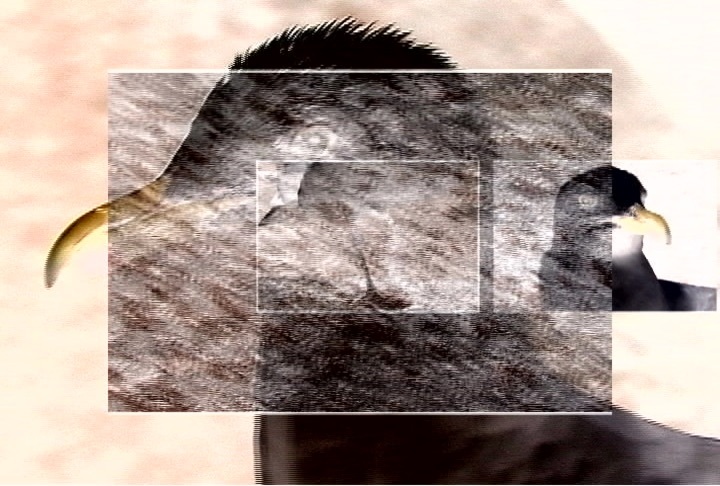 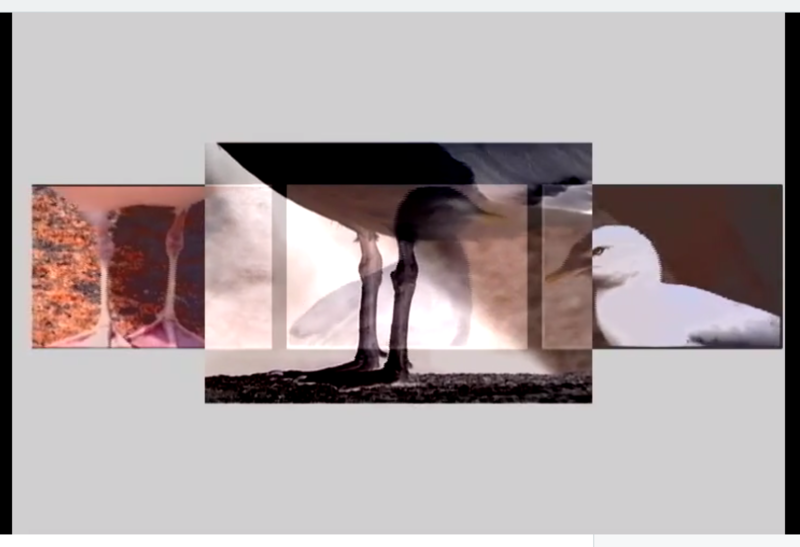 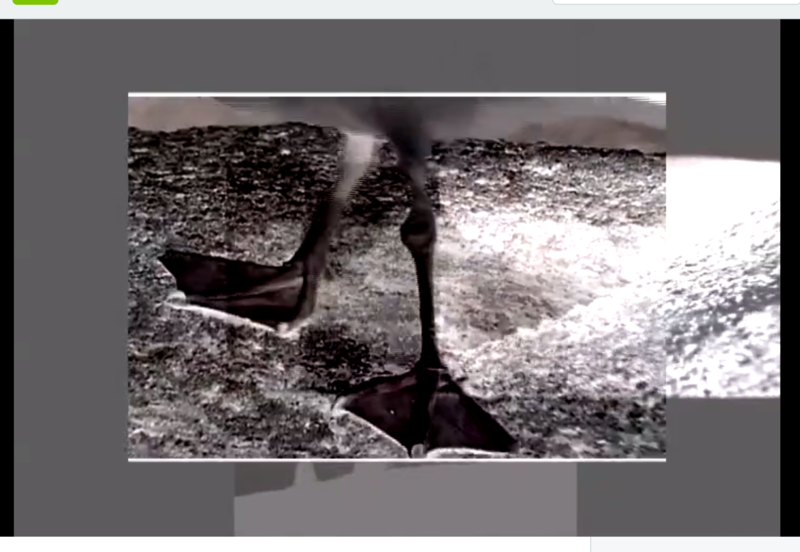 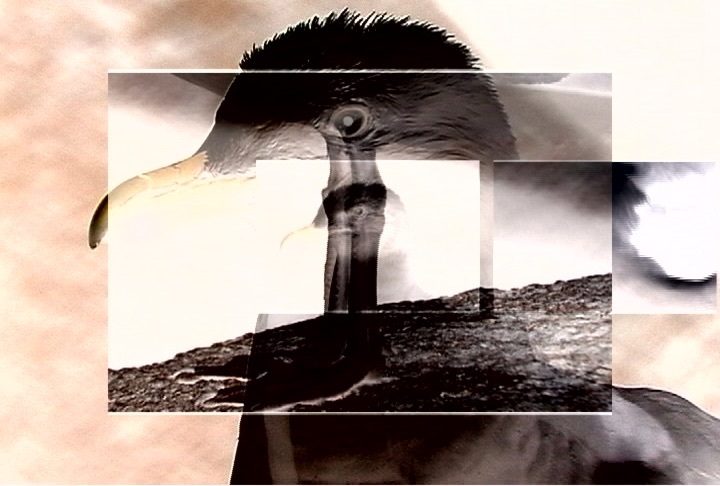 Seagulls, layered glissandi, and cross/cut editing between frames interplay once more in counterpoint. 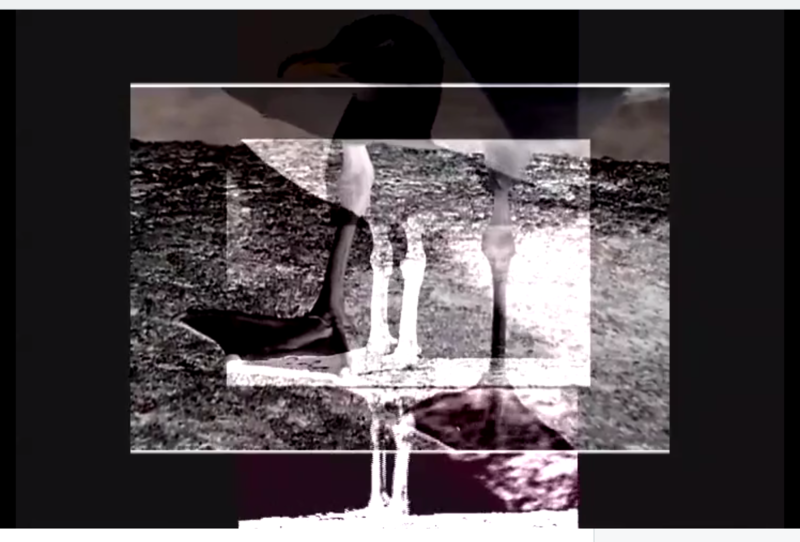 But with additional tempo variations, more video layers and a muted palette of shifting colors, Ruffled Feathers has a different and decidedly darker feel even within the ironic formality that characterizes both works. 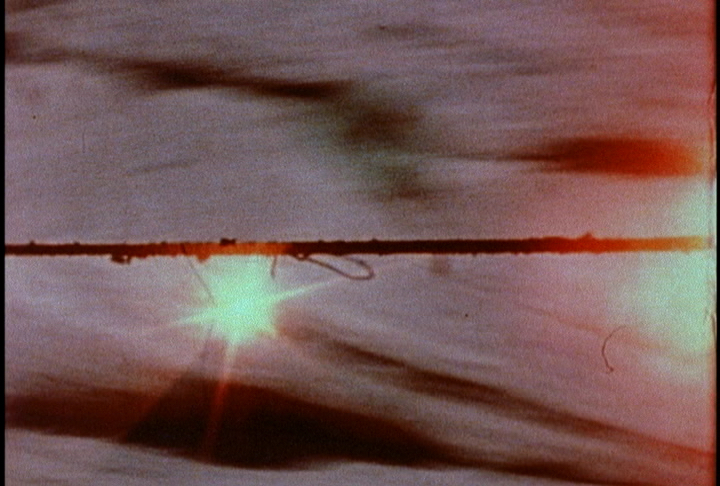 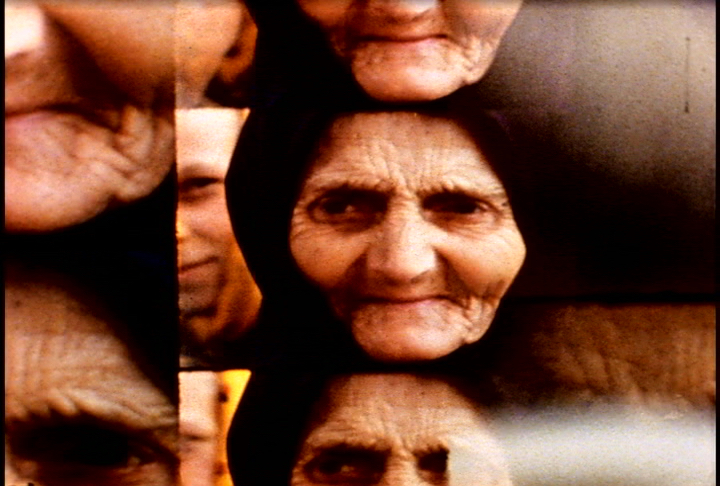 Perception is the common ground within this otherwise radical departure from my recent long-form essay films Everywhere at Once, Deafening Silence and A Question of Sunlight. 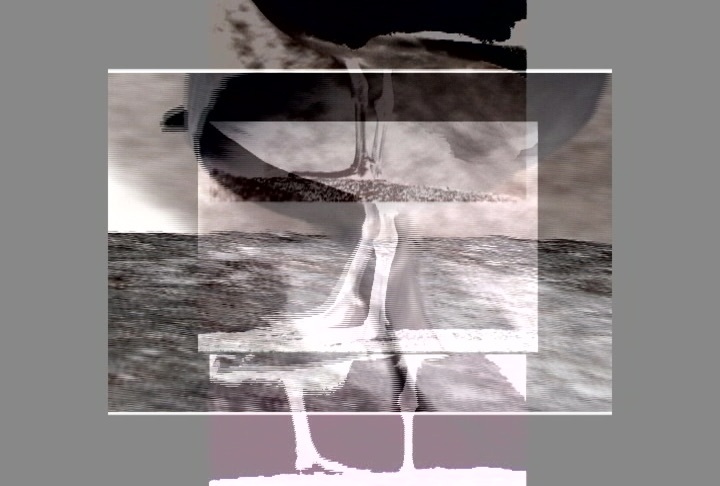 Each of my new short works loop back to the cyclic and layered optical printing experiments with structure, including multiple projections I did in the early 80s. 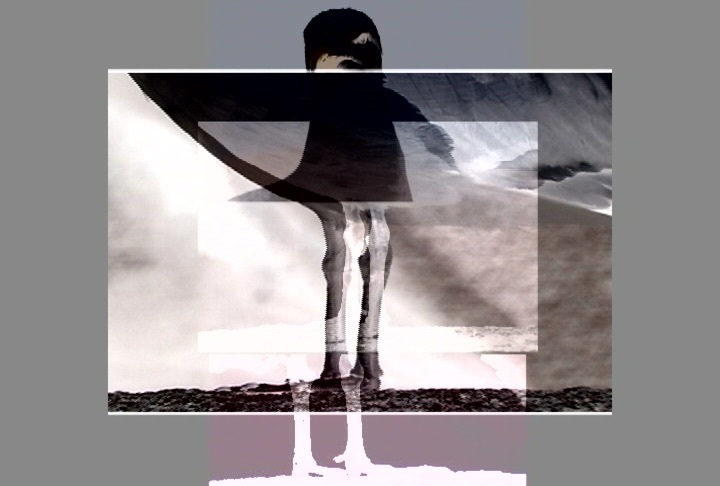 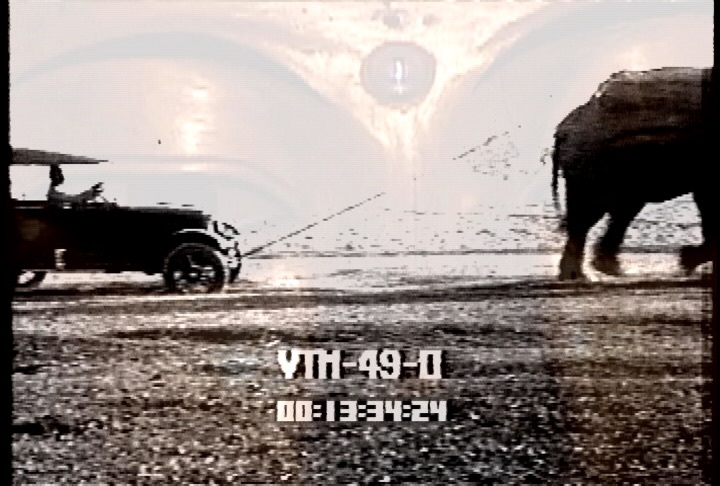 I often keep working on material after declaring a piece ‘finished’ if it seems there is more to discover; and with the advent of multi-track video editing I can literally recycle work as variations-on-a-theme in reverence to the manner of J. S. Bach. 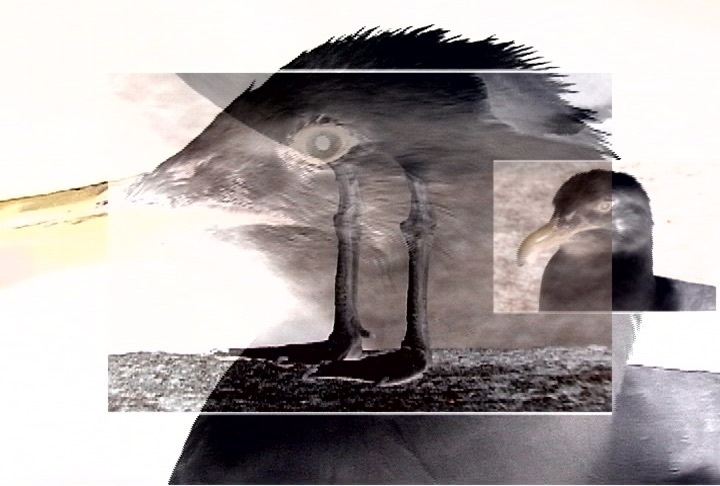 Ruffled Feathers is one such work: as a variation of my first seagull piece I look forward to exhibiting these two works as dual wall installations (sound or silent) in a gallery context.